Sometimes I’m blown away by the creativity and giftedness of others. 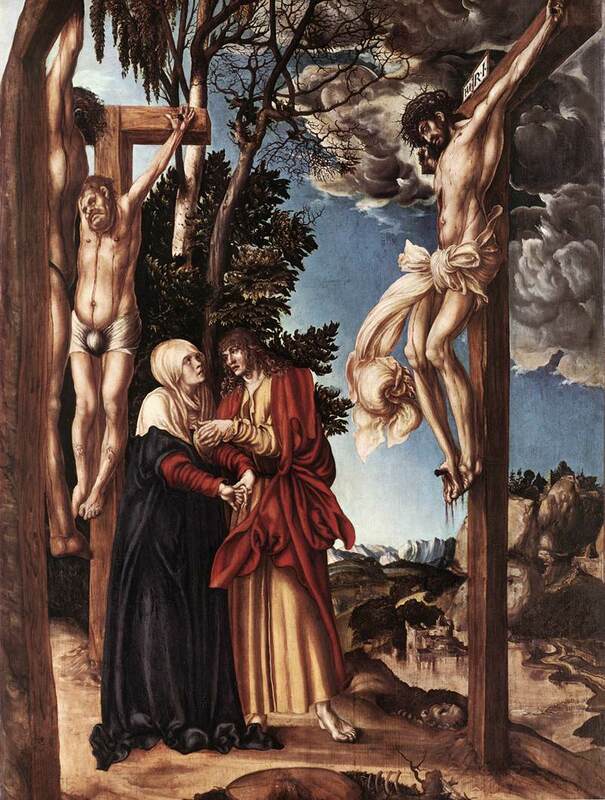 A parishioner of mine named Tom Barber, a physician, has written a new translation of the Stabat Mater, the medieval poem that reflects upon the suffering of Mary during the crucifixion. Tom is a member of the St. John’s choir and an insightful and wise soul — and no I’m not just saying this because he was on the search committee that brought me here. For those of you who “habla” click here for the Latin translation. What follows are Tom’s reflections upon the process of writing this and then his new version, titled “His Mother Wept.” I commend this to you as a fruitful devotion in the days ahead. There have been many translations from the Latin into English, some of which translate the text literally, and others which attempt to replicate the meter, rhyming scheme and spirit of the original poem. Several of these translations can be found easily on the Internet. The original poem consists of 21 stanzas of three verses each, except for the last stanza which contains two verses. The poem’s basic meter is trochaic tetrameter, with each line constructed on 8 syllables. The first and second lines of each stanza rhyme, and the last verse of the stanza rhymes with the last verse of the following stanza. hung the body of her Son. he gave his spirit up. the meaning of the wounds. A new beginning, not an end. Thank you for sharing this. If Tom will permit me, I’m reaching out to several composer friends. Maybe by next Good Friday this can be sung as part of the liturgy. What a great idea, Bill! I’m sure her wouldn’t mind but I’ll email you his address.